One of the biggest time-consuming nuisances for any barbecue is prepping corn on the cob. 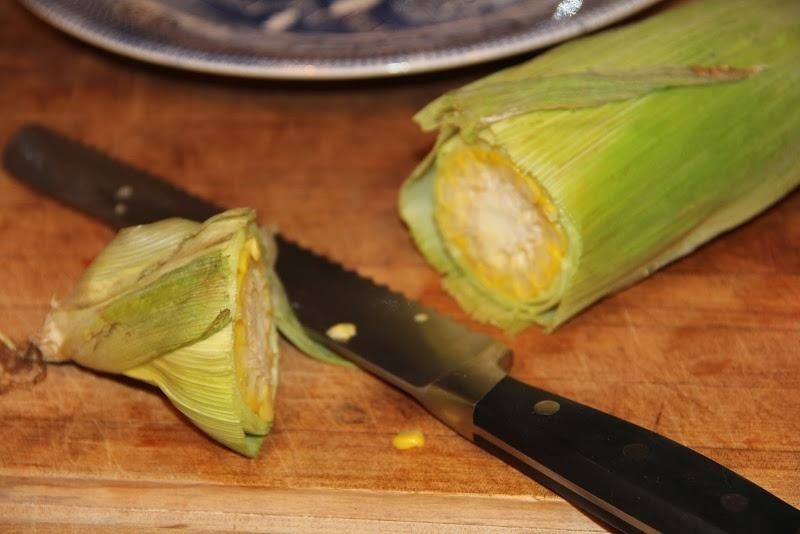 If you've got a lot of mouths to feed, shucking corn is just downright painful, thanks to all of those silk strings that hide in the crevices of the kernel rows. But thanks to America's favorite kitchen invention, the microwave, you can just nuke the annoyance right out of shucking corn. Note: the audio in the video below is no longer working, but you don't need it anyway. Just watch and learn, or scroll down below for another good video. Just leave the corn in its husk, microwave on high for about four minutes. Remove from your microwave and get ready to extract the corn cob. As you can see in the video above, all you've got to do is cut the base off the husk. 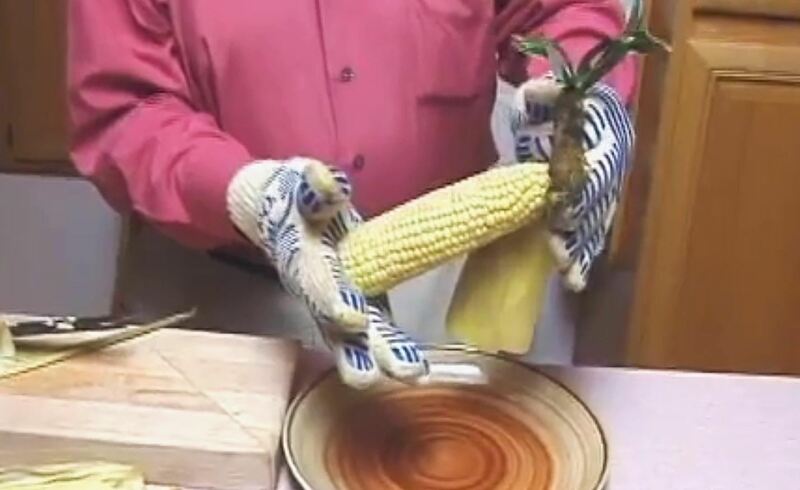 Grab the top of the corn and shake the cob out. It should easily slide out—WITHOUT those annoying stringy silk threads. Then you can just eat as is with a little butter or throw it on the grill for a few minutes to get that mouthwatering, smokey BBQ flavor. Now, just in case you missed all of that, let's watch another video for a more up-close and personal view. This is is the only way I'll shuck corn from now on. I've always hated how those threads get stuck in my teeth. I've been searching for a recipe foe Ackee and Saltfish that I used to get at A West Indian take out place when I worked at Mount sinai Hospital on 98th st. The place was sold and the new people didn't make it the same way. It was Ackee, Saltfish in a white sauce. I was so dumb that I thought the Ackee was egg whites ( it was not) now I am yearning for some and can't find a recipe that is similar.